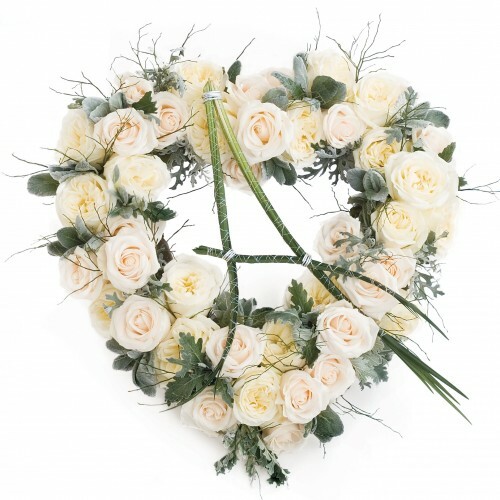 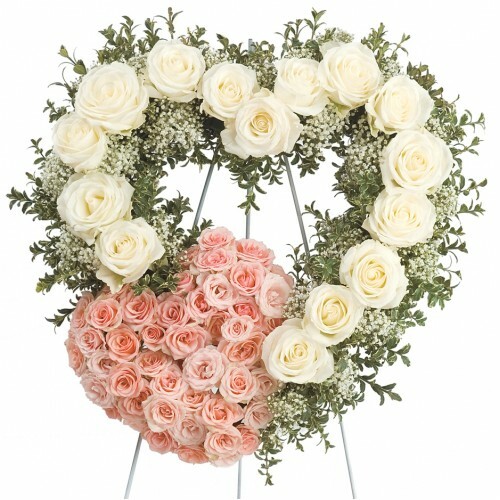 A simple and colorful arrrangement like our "Garden of Memories", celebrates a beloved life with an ..
A floral tribute in white is a classic representation of respect, admiration, and great love. 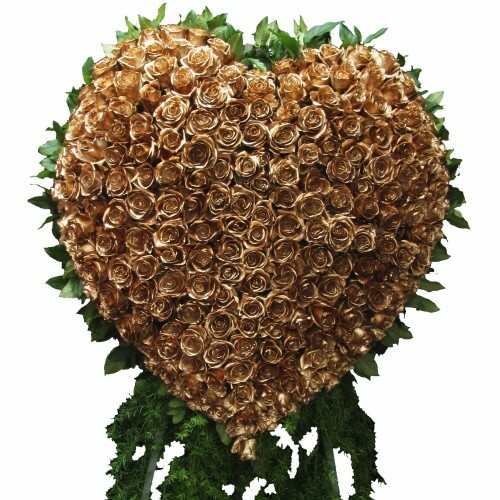 Our "F..
Show respect and admiration for a loved one with our massive "Golden Heart" standing spray. 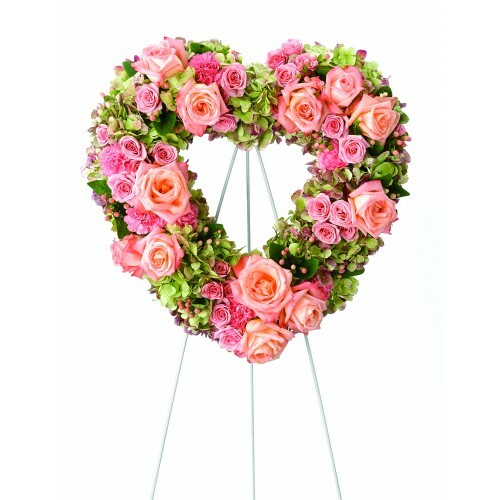 Con..
A classic standing spray designed with roses and carnations expresses pure love and tenderness. 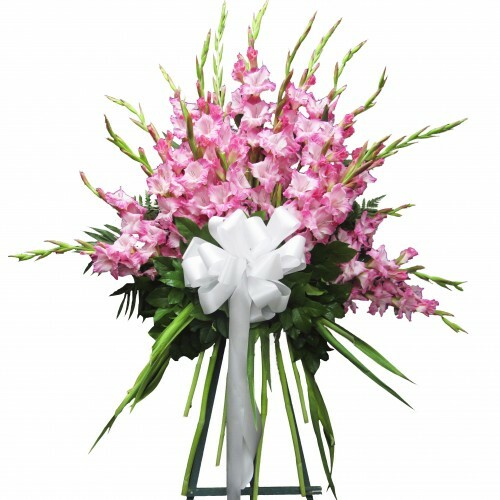 Our ..
Our gleaming bundle of pink gladiolius flowers in our "Peaceful In Pink" spray, are embraced with co..
Cherish those tender memories with our loving hearts, made with carnations of your choice .. 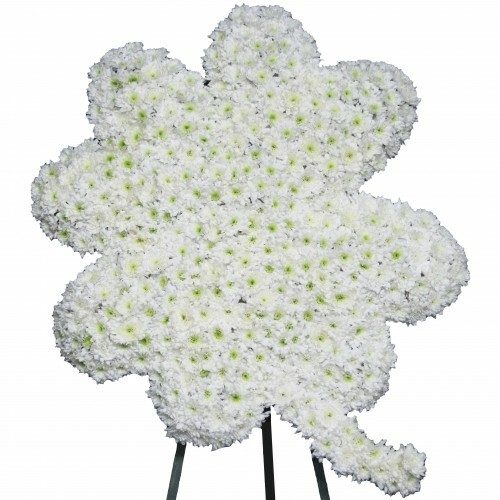 Cushion pom poms serve as the canvas of our "Four Leaf Clover Spray" honoring the deceased. 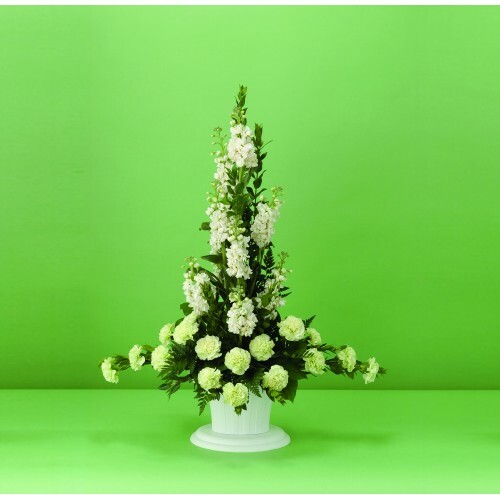 Green po.. 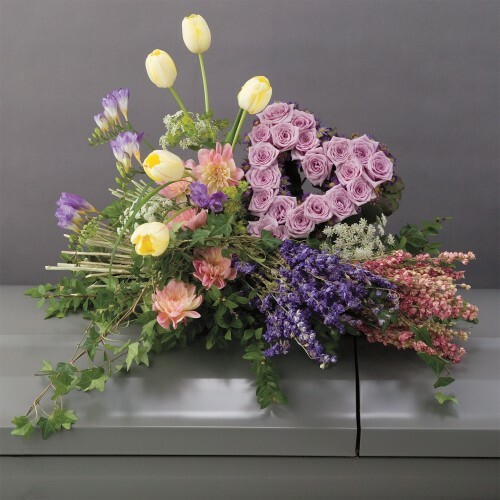 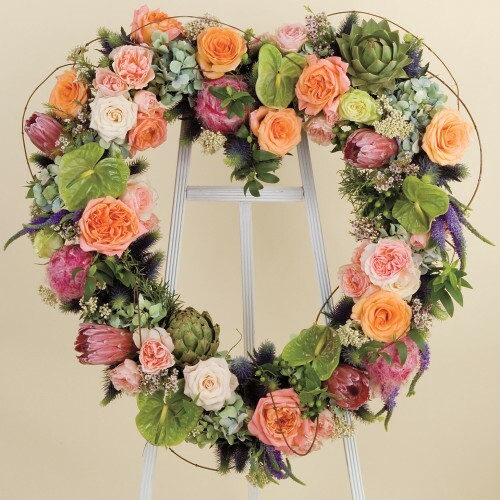 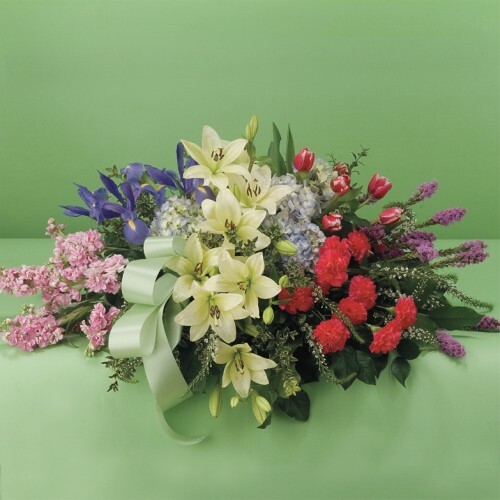 This collection of flowers lie peacefully atop your loved one's casket. 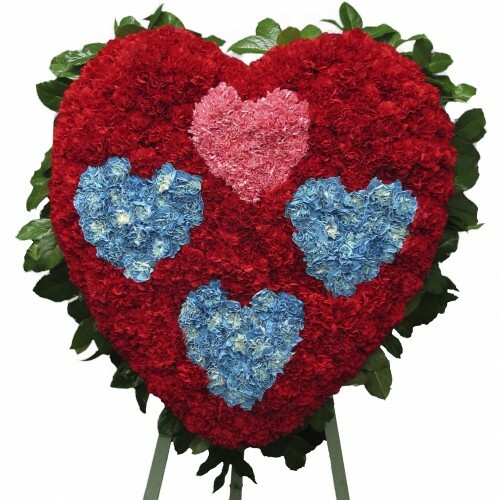 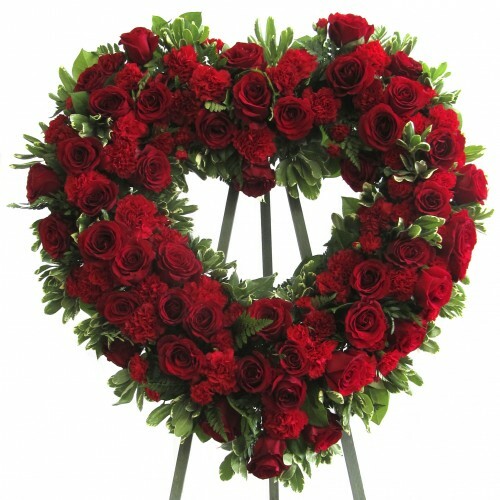 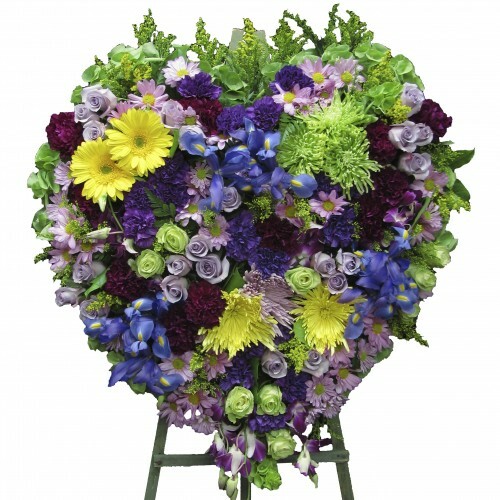 Our "Loving Heart Tribu..
Adorn this beautiful arrangement on top of a loved one's closed casket, with a flow of&nbs.. 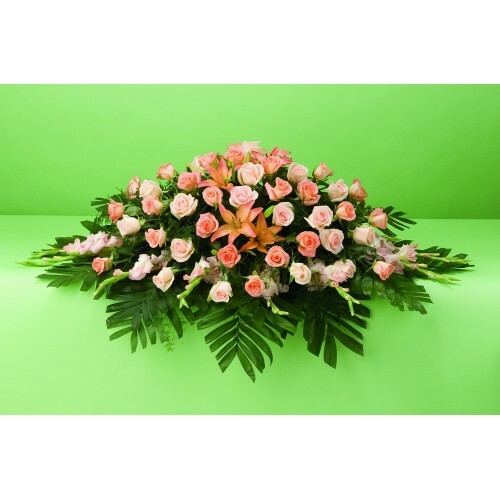 Recapture all the precious memories with our medly of pastel green and lavender roses, irises, daisi.. 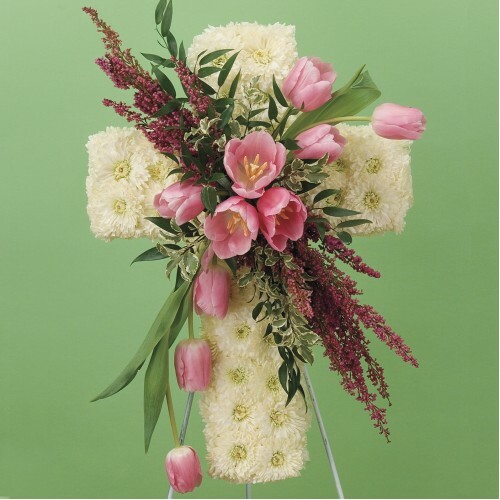 Graceful in thought and meaning, our "Graceful Remembrance Cross" is a gentle touch of white daisies..
An assortment of fresh flowers and plants that include spray roses, safari, and hydrangeas, cre..
A piece like our "Tender Hearts Spray" in all-white spray roses express innocence, serenity, an..
A bright and beautifully designed heart wreath like Always in Our Hearts is a perfect touc..
A simple and angelic arrangement like our "Devoted Hearts Spray" features a lovely array of white&nb..